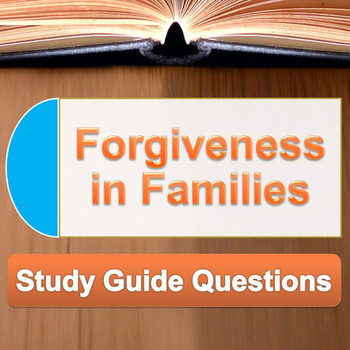 This is a study guide with 14 questions for Alice Munro's short story, "Forgiveness in Families." Includes a full answer key. The questions hit different levels of Bloom’s Taxonomy, allowing the students to reflect upon what they read, as well as let the teacher know whether or not the students comprehend the reading. Includes the answers. 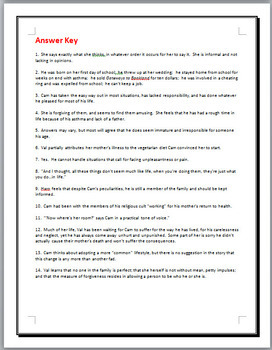 Questions can also be used as a question bank for making exams or quizzes. 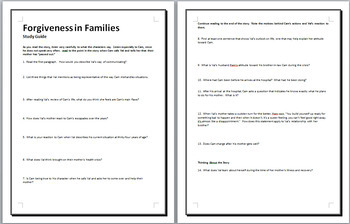 The study guide is in Microsoft Word format, allowing you to easily modify the questions to fit your students’ needs. Also works great if you need to email this assignment to a student.